For many people, whenever they experience stomach trouble, Pepto-Bismol is the first remedy they take for symptom relief. Pepto-Bismol is the “pink stuff” you are likely to find in the digestion section at drugstores. That being said, there are many Pepto-Bismol alternatives you should consider instead. Common names or the remedy include Bismatrol, Bismylate, Bismed Liquid, and BSS. The oral over-the-counter-drug is used to treat occasional upset stomach, nausea, heartburn, indigestion, diarrhea, and traveler’s diarrhea. It can also reduce the number of bowel movements, make stools firmer, and help relieve belching, gas, and a feeling of fullness. Pepto-Bismol belongs to the drug class called salicylates, and it contains the active ingredient bismuth subsalicylate. Bismuth subsalicylate is an element found in the ores of metals like nickel, silver, and tin. It is also a by-product of smelting copper and lead. The bismuth subsalicylate has antacid properties that will reduce nausea, heartburn, and upset stomach. Pepto-Bismol will also slow the growth, or killing of bacteria that may cause diarrhea. It also treats diarrhea by reducing inflammation and over-activity of the intestines, increases the amount of fluid that the intestines absorb, prevents the body’s release of an inflammatory chemical called prostaglandin, and blocks toxins produced from bacteria like E. coli. You can find regular strength Pepto-Bismol in a liquid, chewable tablet, and caplet form. It is also available as a maximum-strength liquid. Adults and children 12 years and older can take any form of Pepto-Bismol for up to two days. It is best to contact your doctor if your condition lasts longer than two days, or if you have ringing in your ears. The following are the proper dosage for the different varieties of Pepto-Bismol. For regular strength, take 30 milliliters every 30 to 60 minutes as needed, and do not take over eight doses in 24 hours. For maximum strength, take 30 milliliters every 60 minutes as needed, and avoid taking over four doses in 24 hours. Take two tablets every 30 to 60 minutes as needed, and chew it or let it dissolve in the mouth. Avoid taking more than eight doses in 24 hours. Take two caplets every 30 to 60 minutes as needed, and swallow the whole caplet with water. Avoid taking over eight doses in a 24-hour period. What are the side effects of Pepto-Bismol? The body is thought to handle bismuth subsalicylate in small doses. An overdose will produce a number of Pepto-Bismol side effects, including fever, extreme weight loss, depression, anemia, and skin reactions. It also causes stomach symptoms it is being used to treat—like diarrhea, stomach pain, and nausea. A severe overdose of Pepto-Bismol can lead to liver and kidney damage, ulcers, and even death. Severe side effects also include vomiting, severe constipation, ringing in the ears, hearing loss, and severe allergic reactions, like chest tightness, difficulty breathing, itching, hives, rash, and swelling or the face, lips, tongue, and mouth. Wintergreen sarasaparilla may increase absorption of bismuth subsalicylate, which increases the chance of toxicity. Like bismuth subsalicylate, some herbs contain salicylates, and should be avoided while taking Pepto-Bismol. These include meadowsweet, poplar, and willow. People allergic to an ingredient in Pepto-Bismol should not take it. You should also avoid Pepto-Bismol if you have bleeding problems, black or bloody stools, an active bleeding ulcer, or had a severe allergic reaction to aspirin, or NSAIDs. Before taking Pepto-Bismol, it is best to inform your doctor if your pregnant, breastfeeding, or planning to become pregnant. Furthermore, if you have a history of stoke or aneurysm, or you have arthritis, fever, gout, diabetes, kidney problems, the flu, chickenpox, stomach inflammation, mucus in the stool, or Kawasaki syndrome, you should advise the doctor as well. There are actually several natural alternatives to Pepto-Bismol. 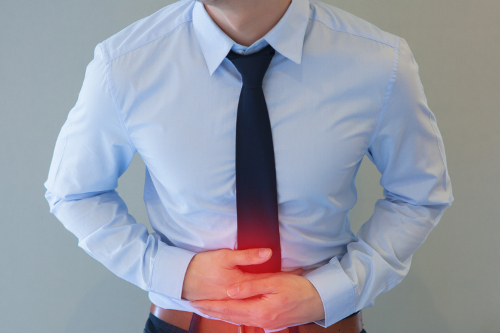 What should you do to treat nausea, heartburn, indigestion, upset stomach, or diarrhea? The following are some of the top natural remedies you should consider. Taking at least one to two full-spectrum enzymes with each meal can help prevent stomach issues. Enzymes are useful to prevent acid buildup, and for the breakdown and absorption of food. It is best to take enzymes right before, or in the early stages of a meal. Organic apple cider vinegar that contains the “mother” is another sure-fire natural remedy for upset stomach. The pectin in apple cider vinegar will quickly soothe upset stomach and nausea, and also improve overall digestion. Apple cider vinegar will also replenish the supply of beneficial bacteria in the digestive tract, and this is crucial to prevent further stomach problems. To take apple cider vinegar, mix one to two teaspoons in a glass of warm water, and drink it three times daily—preferably 10 to 15 minutes before a meal. Baking soda is another ingredient in Pepto-Bismol, so why not make your own stomach-healing remedy. Simply dissolve a teaspoon of baking soda in a glass of water with a few drops of lemon juice. Baking soda neutralizes stomach acid to help relieve indigestion and stomach upset. Herbal teas that help soothe the muscle lining of the digestive tract and relieve nausea include peppermint, chamomile, fennel, licorice, cinnamon, marshmallow, red raspberry, and ginger. Some tea formulas will contain a variety of herbs for digestion. Otherwise, steep a half teaspoon of one or more digestive herbs in hot water. When stomach upset is an issue, take herbal teas up to three times daily. Taking a high-quality probiotic can help fight infection, and re-colonize the gut with good bacteria. Probiotic strains like lactobacillus may shorten diarrhea symptoms by up to a day. Peppermint essential oil contains menthol, which is an antispasmodic and volatile substance that helps soothe the digestive tract. Peppermint oil also works by relaxing intestinal muscles, and this can decrease gas and bloating. Studies have found that peppermint essential oil can reduce IBS symptoms by up to 50% in patients. Other essential oils that help for upset stomach and diarrhea include chamomile, ginger, lavender, geranium, and eucalyptus. Try adding a drop of an essential oil to water before meals. Homeopathy can also provide relief from diarrhea, nausea, indigestion, and other digestive symptoms. Some effective remedies include abies canadensis, carbo vegetabilis, pulsatilla, bryonia, nux vomica, arsenicum album, aloe, podophyllum sulphur, and veratrum album. Other natural remedies that are useful for digestive issues include activated charcoal, aloe vera juice, and glutamine powder. It is best to eliminate foods that may worsen stomach issues. Avoid foods like processed dairy, oils and fats, sugar, caffeine, alcohol, chocolate, and potential allergens like gluten, nuts, and shellfish. Also, overeating and carbonated beverages can cause nausea. Focus on eating whole foods that don’t aggravate the digestive system. Most people will be able to tolerate leafy green vegetables, berries, sweet potatoes, coconut oil, wild-caught fish, and probiotic foods like sauerkraut and kimchi. Bone broth also contains enzymes and nutrients that help rebuild the gut lining. Stress can also trigger upset stomach, diarrhea, heartburn, nausea, and indigestion. Consider trying stress-reducing techniques such as massage, meditation, restorative yoga, acupuncture, journaling, or light exercise. Certain drugs like the birth control pill or high blood pressure drugs may worsen heartburn symptoms. It is also a good idea to quit smoking, as smoking will stimulate stomach acid. Although Pepto-Bismol may be your go-to remedy for stomach problems, there are definitely safer and more effective ways of treating your symptoms. The next time a stomach ache occurs, consider Pepto-Bismol natural alternatives like digestive enzymes, apple cider vinegar, or herbal teas like ginger or chamomile. Making lifestyle and diet changes will also help prevent stomach issues. “Pepto-Bismol Side Effects,” Drugs; https://www.drugs.com/sfx/pepto-bismol-side-effects.html, last accessed February 15, 2017. DiBacco, L., “Beyond Pepto-Bismol—Get Rid of That Tummy Ache Naturally,” Bottom Line Inc., December 28, 2012; http://bottomlineinc.com/beyond-pepto-bismol-get-rid-of-that-tummy-ache-naturally/. “Pepto-Bismol,” WebMD; http://www.webmd.com/drugs/2/drug-2842/pepto-bismol-oral/details#uses, last accessed February 15, 2017. “Headache and Stomach Ache? Natural Solutions to Pepto-Bismol and Aspirin,” The Alternative Daily; http://www.thealternativedaily.com/headache-and-stomach-ache-natural-solutions-to-pepto-bismol-and-aspirin/, last accessed February 15, 2017. “Pepto-Bismol: What to Know,” Healthline, August 15, 2016; http://www.healthline.com/health/diarrhea/pepto-bismol#Introduction1. “Bicardonate of soda – The ten best homemade remedies,” The Telegraph; http://www.telegraph.co.uk/news/health/8888987/The-ten-best-homemade-remedies.html?image=2, last accessed February 15, 2017. Hershoff, A., N.D., Homeopathic Remedies: A Quick and Easy Guide to Common Disorders and Their Homeopathic Treatments (New York: Penguin Putnam Inc., 1999), 145, 193, 231.